I haven’t posted for awhile so dredging through the archives I found this photo. This was spring 2002. I didn’t weigh the pack. That was my first mistake. It was probably was 55-60 lbs. That was for 2 nights. I am a compulsive weigher now. What else is wrong with this picture? Loose items hanging off the pack and heavy weight cotton canvas pants that would take forever to dry. Note: neither human nor dog is smiling. 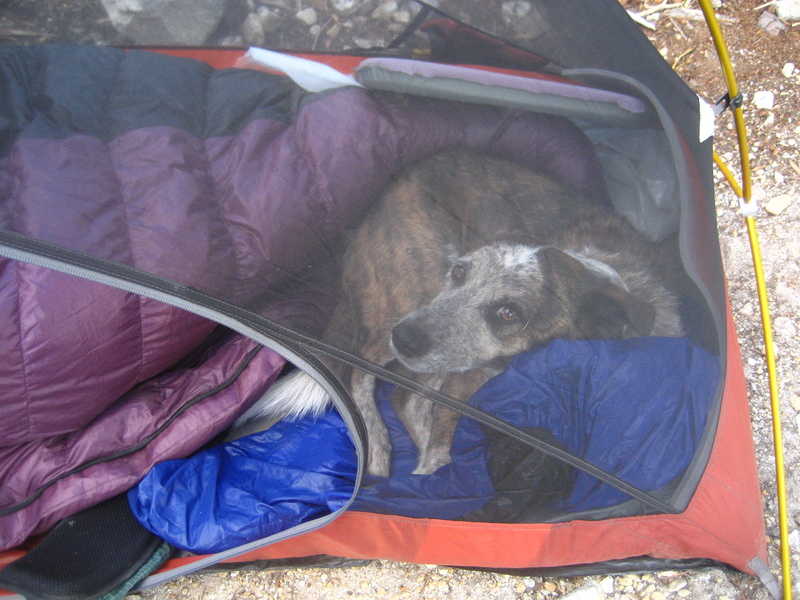 Here’s Jayna at camp resting in an early version of the Clark North American Hammock. I now use a Warbonnet Blackbird. It’s less than half the weight. 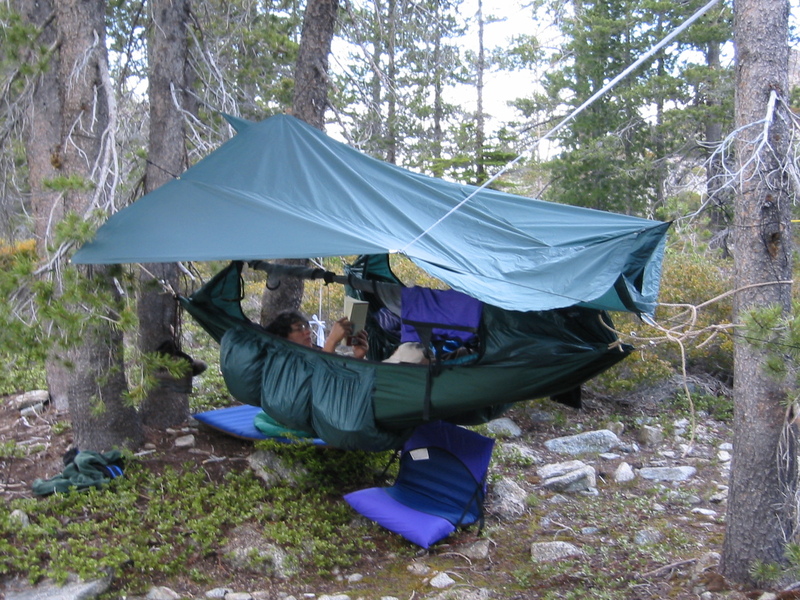 In the interim I used the Clark Ultra Light with my own tarp. Step by step I lightened my load. 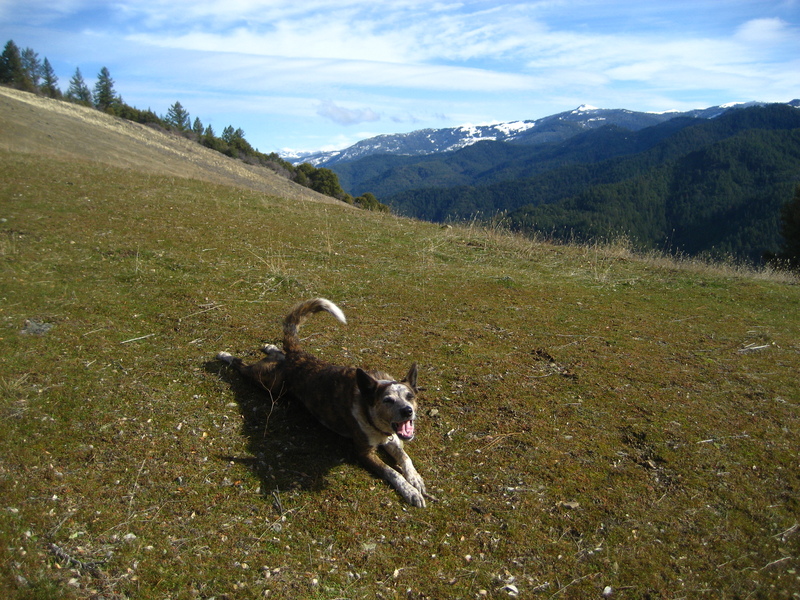 But, we got out there and enjoyed the wilderness. After you’ve carried 50+ lbs. up a couple of hills, you start re-thinking what you really need to bring. And you start looking for lighter options. For me it became a passion. 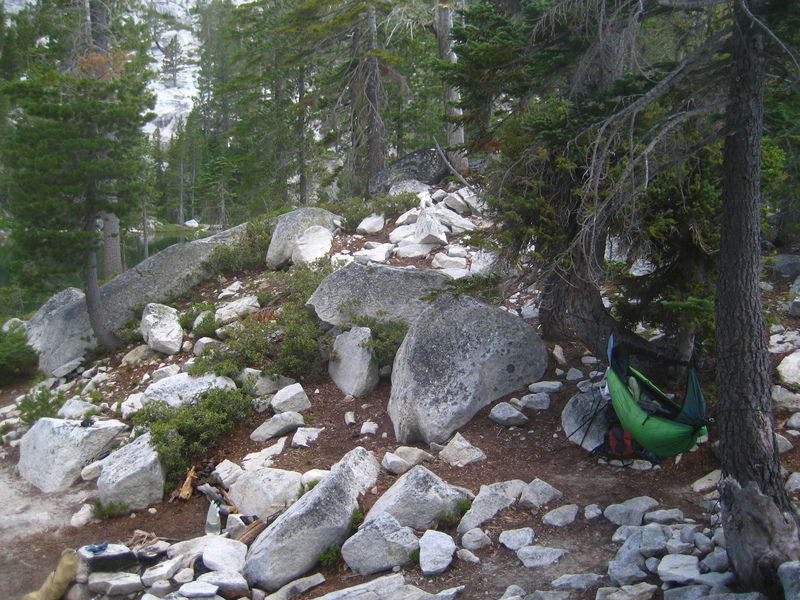 Sitting around camp, I’d make lists of changes adding up the ounces lost. 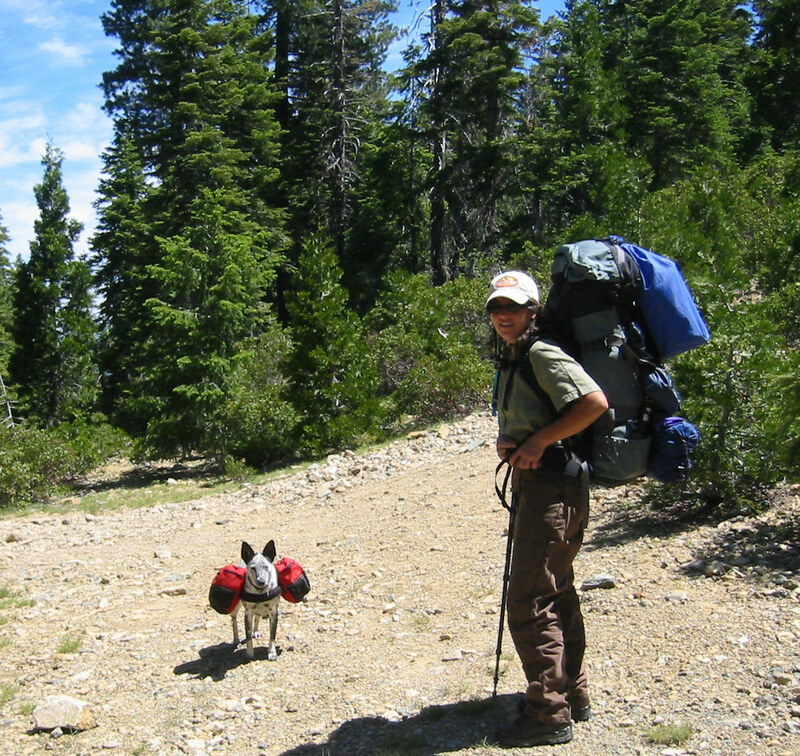 Now my pack weight for a week in the woods is more like 35 lbs including a liter of water and all my food. 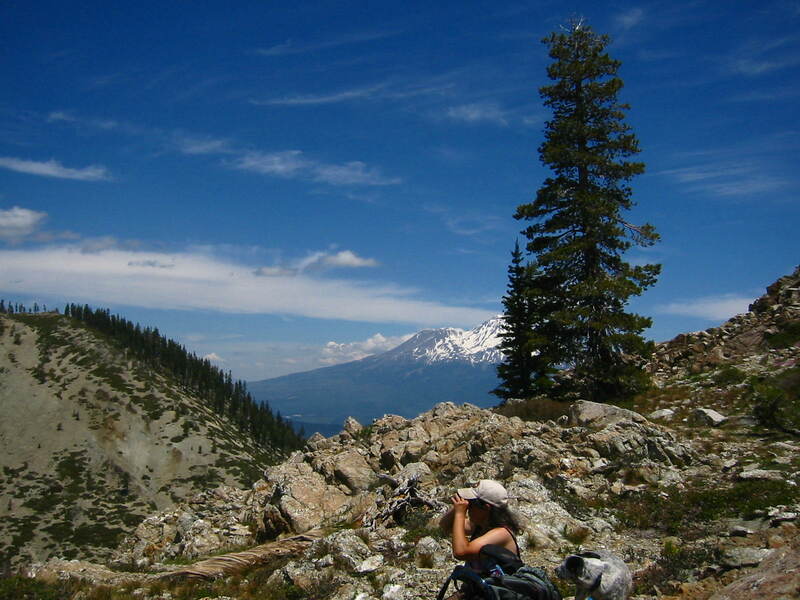 But, I bring fly fishing gear and a camera and binoculars too. I encourage everyone to get started. Take a trip into the wilds. After carrying your old gear start thinking about where you can save on weight. 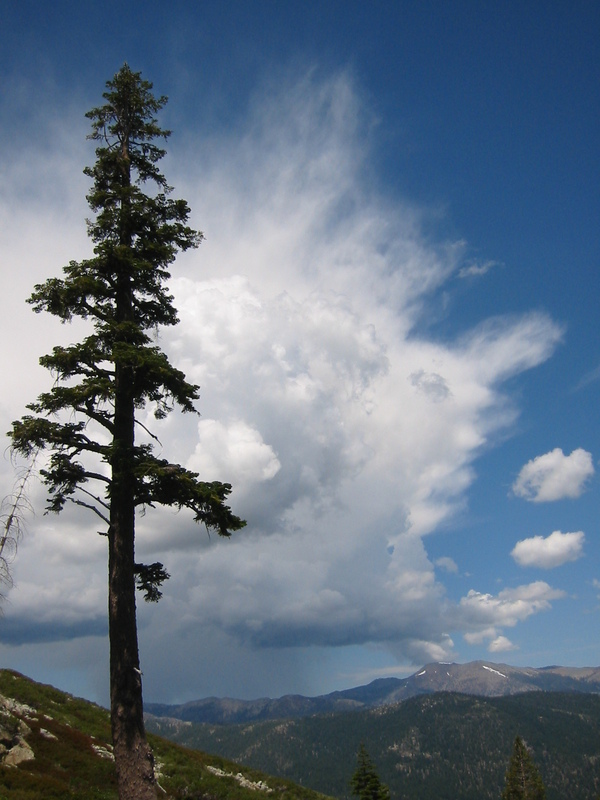 The big three are: your tent, your pack and your sleeping bag. Buy a new sleeping bag first and just keep chipping away at it. The new high-tech gear is great! 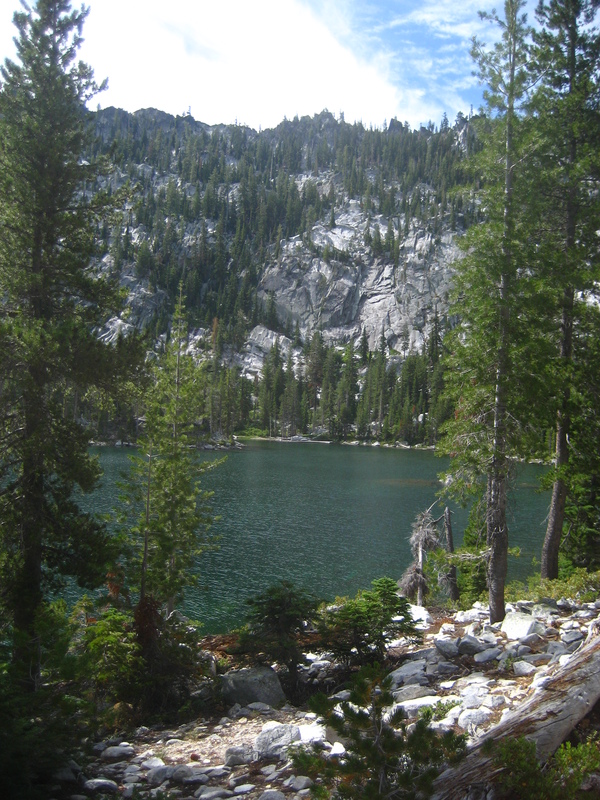 These photos are all from Grey Rock Lakes in the Castle Crags Wilderness of Northern California. 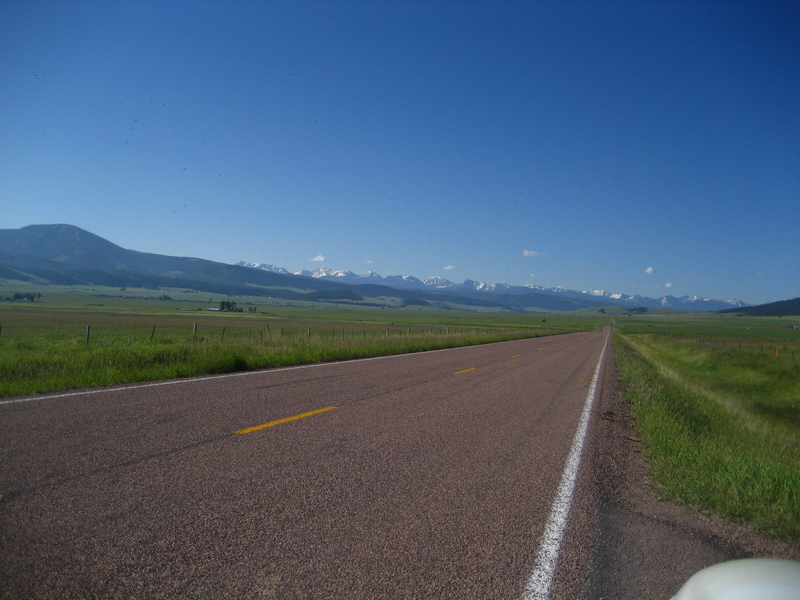 In the picture below you can see Mount Eddy in the distance. 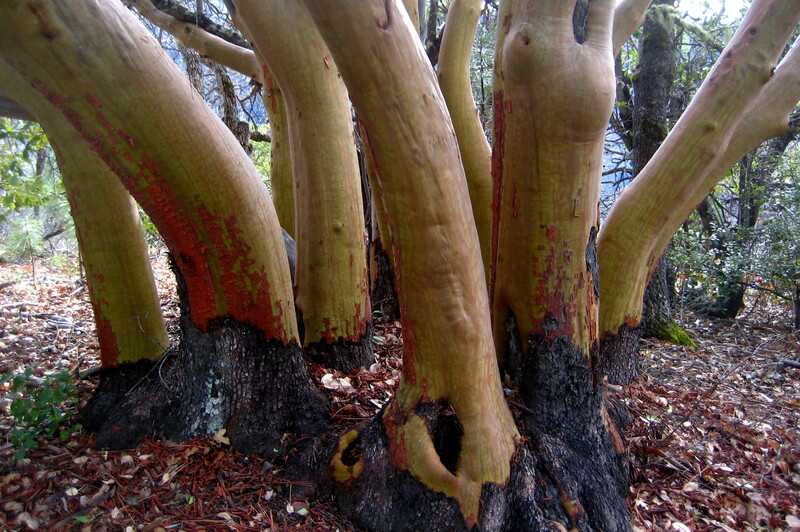 GooseFeet – Better than Down Booties! I just received my GooseFeet. I’ve been looking for a product like this for years. The perfect sleeping socks for the cold footed camper. That would be me. Nothing more – nothing less, just a super warm and super light sock. 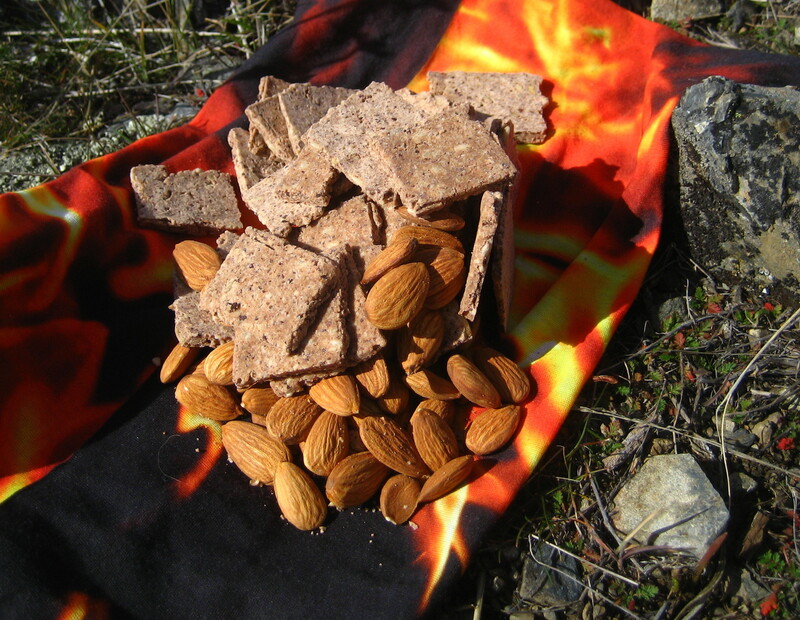 These are so light, at only 2.2 oz including a stuff sack, you won’t mind bringing them along. That’s about the same as a pair of regular hiking socks and about 1/3 the weight of my old down booties. You can’t walk around camp in them, but they’re socks not shoes. 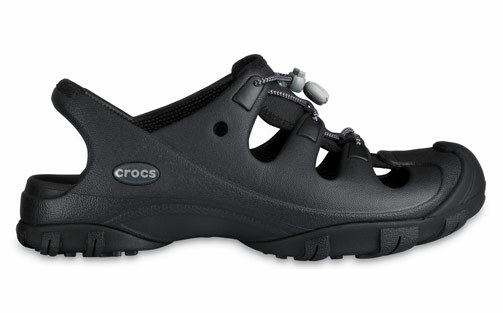 For camp shoes I’ll stick with my knock-off Crocs I got at Payless Shoes. They look something like these Trailbreak Crocs ($49.99), but cost only about $10. 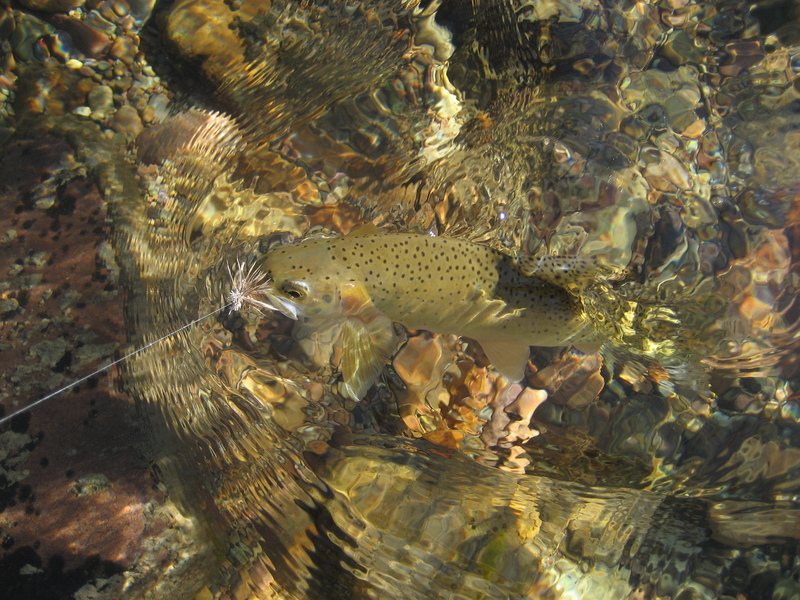 They weight about 10 oz for the pair and work well for the occasional stream crossing too. Not to mention they’re great for fishing. Otherwise, I wear my Merrell Pulse II Waterproof Mids for the trail. They are so comfortable I wear them around camp often as well. Of course, they have discontinued this particular incarnation. You can still find them here and there as online closeouts. 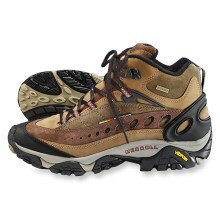 Merrell has many similar styles. I guess when these wear out I’ll have to experiment with something new. But back to the GooseFeet. At $55 they may seem expensive. Good down is expensive. Similar products cost even more. 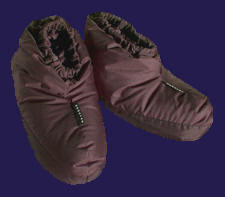 Like Nunatak’s Teanaway Down Slippers pictured below. Nunatak is known as one of the best down outfitters around. These babies weigh more at 3 oz and cost more at $116. 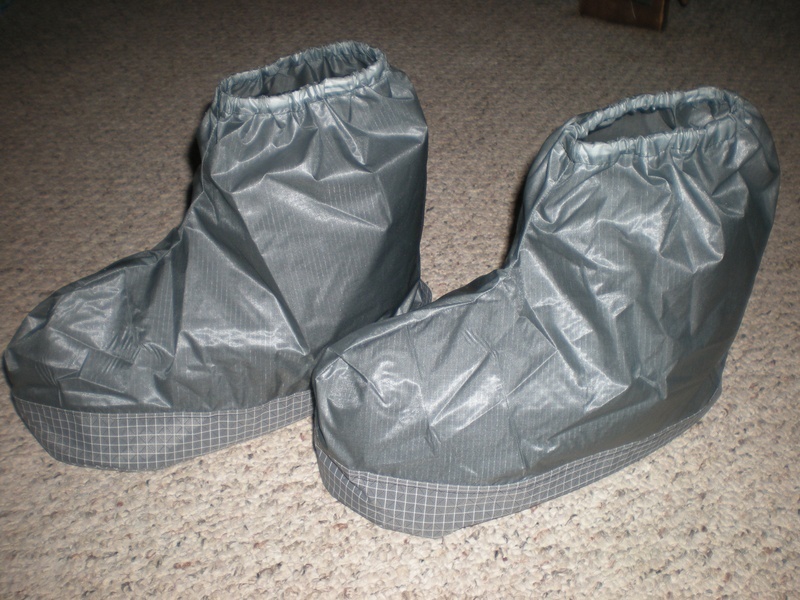 There is a less expensive alternative in Sierra Design’s Packable Down Booties (not shown). They cost only $35, but weigh 7 oz. My guess is they are made using less down and down of a lower grade. The GooseFeet are made with premium 800+ fill goose down, the best available. I know I’m pretty enthusiastic about this product, but it fills a niche that needed filling. I usually make my own gear when I can’t find what I want. But, down is a bear to handle so IMHO it’s worth it to pay for the finished product. And these are very professionally finished products. They should keep my feet warm for years to come. 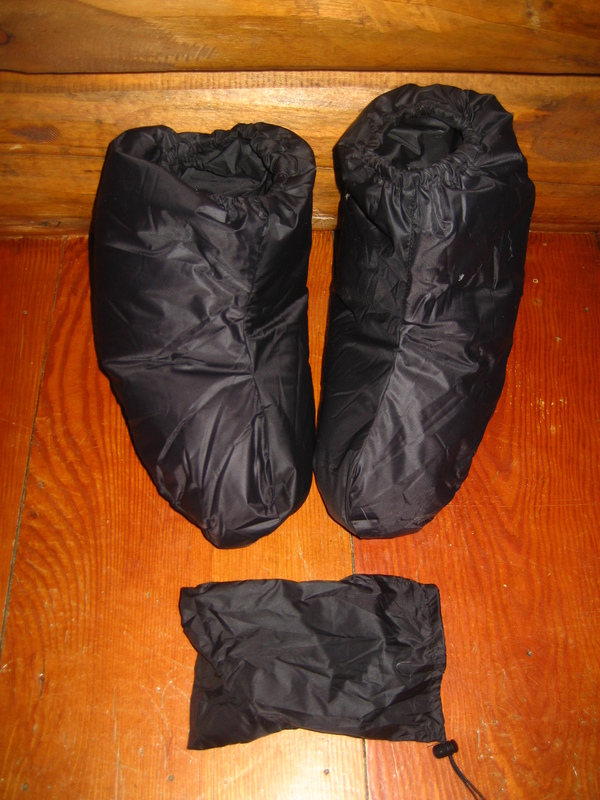 If your feet don’t get cold, order a pair of the GooseFeet for a cold footed lightweight backpacking friend. They’ll never forget you! 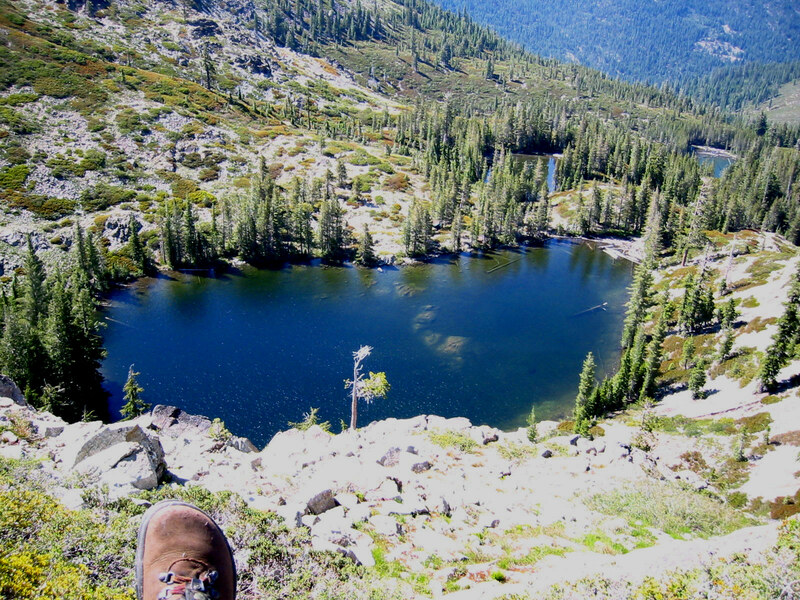 It’s the tag end of the season and I’m savoring the last few trips into the high country. We parked the Jeep and hiked about 4 miles up a bumpy road from 5700 ft to 7500 ft. It was a climb but at the top we had a lovely sky blue lake to ourselves. It was cloudy and cold at the lake, but I managed to catch and release a couple trout before heading back down. Skies cleared on our descent and my favorite star poured that wonderful autumn light into the valley below.